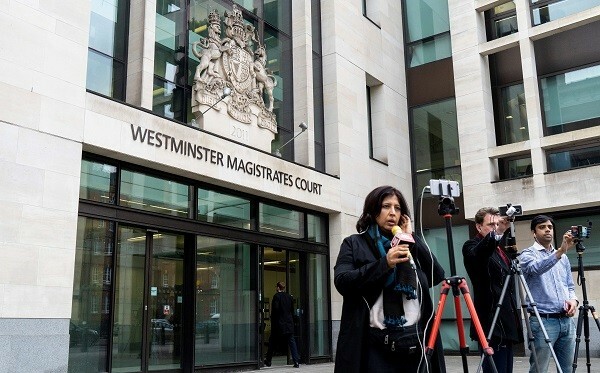 Members of the media report from outside of Westminster Magistrates Court in London on March 20, 2019, following the extradition hearing of Indian jeweller Nirav Modi (Photo: NIKLAS HALLE'N/AFP/Getty Images). A COURT in the UK today (20), rejected a bail plea of Indian jeweller Nirav Modi and remanded him in custody until March 29, the next date of the hearing. The jeweller was arrested by the Scotland Yard yesterday (19) and was produced before a District Judge at Westminster Magistrates’ Court in London to be formally charged. Modi is wanted in India for legal proceedings in connection with a £1.51 billion ($2bn) loan fraud at state-run Punjab National Bank (PNB). The British officers arrested the business tycoon on behalf of the Indian authorities who want to extradite him to face charges as one of the main accused in connection with PNB loan fraud case. The magistrate added that there was substantial grounds to believe he would fail to surrender if granted bail. The business tycoon was accused by India of two charges of conspiracy to fraud and conspiracy to conceal criminal property. Modi spoke only to confirm his name, age and address, and that he did not agree to being extradited. 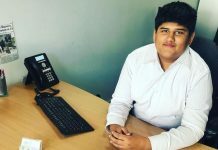 The British court last week had issued an arrest warrant against Indian businessman in response to a petition filed by India’s federal law enforcement and economic intelligence agency, Enforcement Directorate (ED). According to the police, Modi was arrested in the Holborn area of central London on Tuesday (19). Yet another blow to Modi, the ED, said that a court on Wednesday (20) issued a non-bailable warrant against Nirav Modi’s wife. PNB, India’s second-largest state-run lender, said last year that two jewellery firms led by Modi and his uncle Mehul Choksi had defrauded it by raising credit from other Indian lenders using fraudulent guarantees issued by rogue staff of the bank.